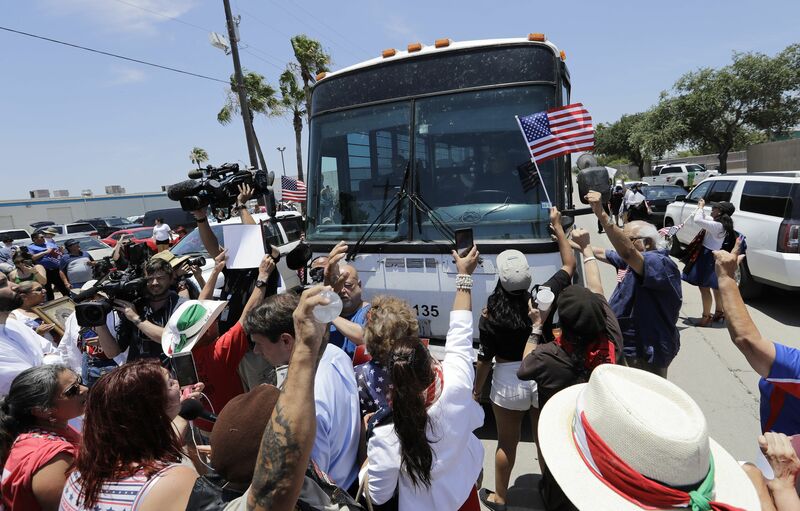 The separated children fiasco has triggered an outpouring of spontaneous anger and recriminations not seen since President Trump's Muslim travel ban just after his inauguration, or the racist Charlottesville clashes last summer. As President Trump's tactics are emulated by his supporters, and adopted by his opponents, we're seeing a great unraveling — an outpouring of the emotional and the absurd. 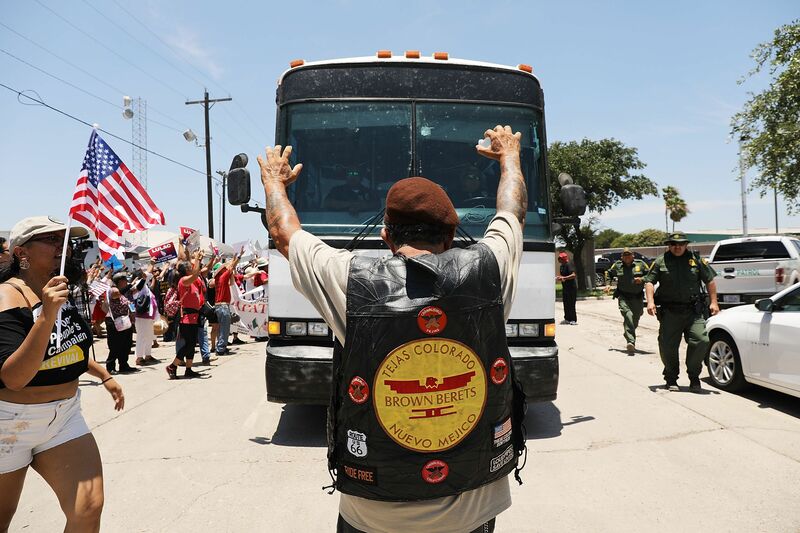 "A rally at a U.S. Customs and Border Protection station [in McAllen, Texas] took a swift turn when hundreds of protesters saw a bus arriving with child migrants — and they blocked its passage," the Dallas Morning News reports. "'Set them free!' 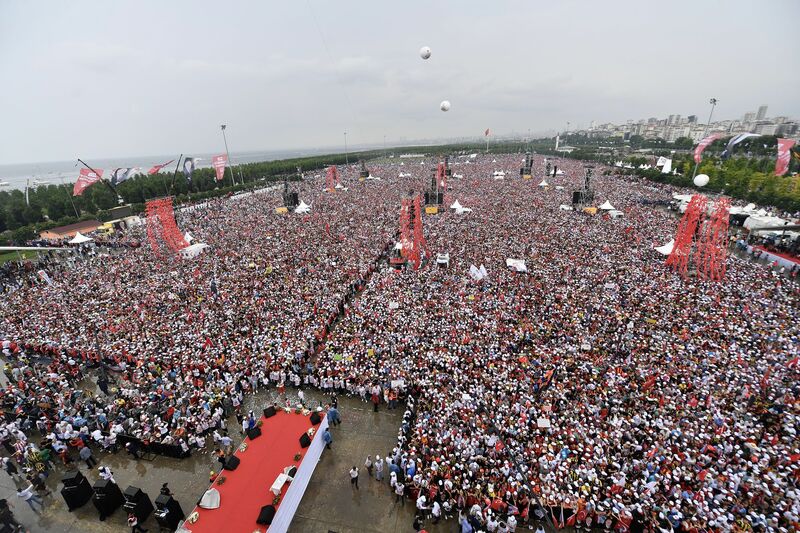 the demonstrators chanted, as police arrived to disperse the crowd." Sanders' father, former Arkansas governor Mike Huckabee, was criticized after his racist tweet of a photo of five men flashing gang signs that he captioned: "Nancy Pelosi introduces her campaign committee for the take back of the House." At the Tony Awards earlier this month, Robert De Niro got a standing ovation for saying onstage at Radio City Music Hall: "F@#$ Trump." Be smart: Trump’s way — the lying, the name-calling, the nastiness — is quickly becoming the American way for many of his friends and foes. This, in turn, numbs people to the truly outrageous, and hardens the tribal instincts of political combatants. This will get worse before it gets better. President Trump's executive order about separated children was signed on his whim. It was cobbled together in hours, sources tell us, by White House lawyers huddled around desktop screens after he couldn't take the TV coverage, tweeted that he was going to fix it, then ordered his aides to get it done. "More than 2,300 migrant children have been separated from parents, and dozens are now being funneled from Texas shelters to foster homes across the country, including in South Carolina and Michigan," the Houston Chronicle's Allie Morris writes. "The children face daunting questions about where they will live and in what conditions, about who will raise them and when they will see — or even talk to — their parents again." 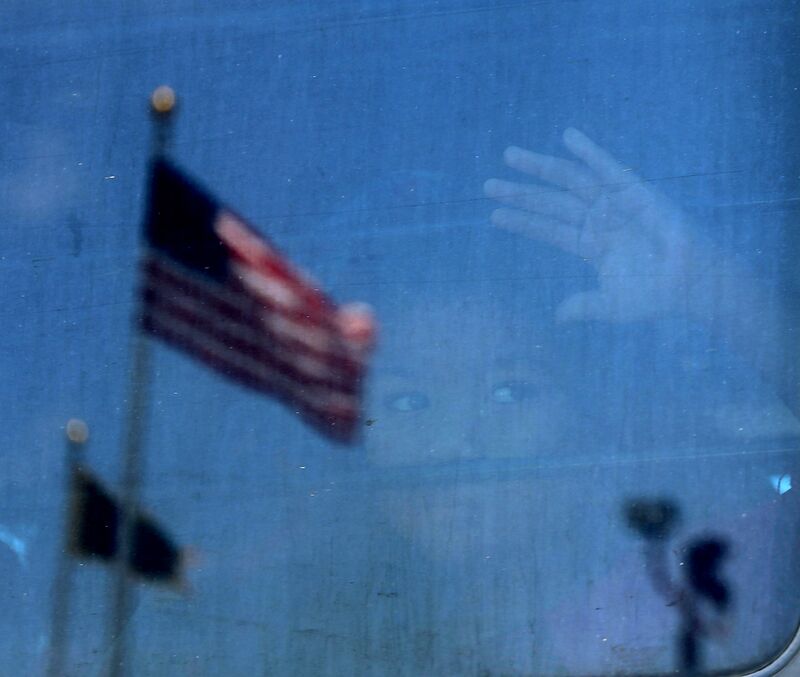 The Department of Homeland Security released a "Fact Sheet: Zero-Tolerance Prosecution and Family Reunification" promising: "The United States government knows the location of all children in its custody and is working to reunite them with their families." 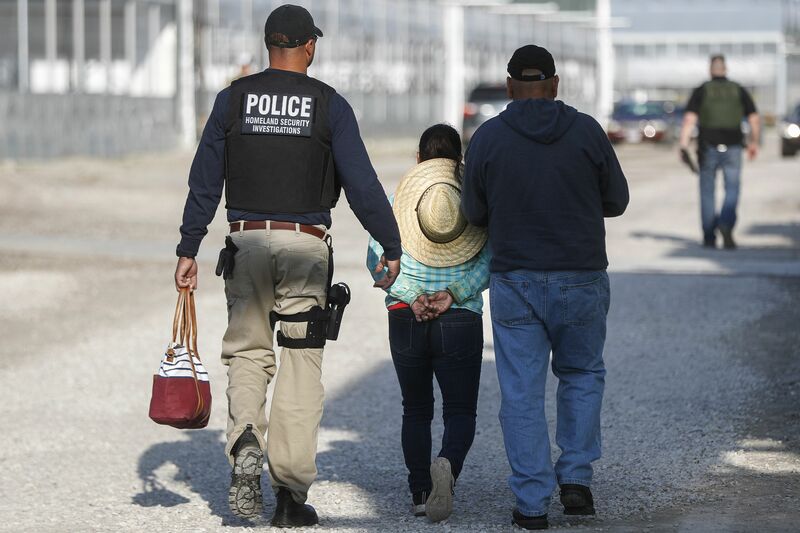 The release says U.S. Immigration and Customs Enforcement (ICE) "maintains a publicly available online detainee locator which can be used to locate adults detained by ICE." The form notes in red: "Online Detainee Locator System cannot search for records of persons under the age of 18." The chaos isn't just in the Southwest. Increased highway checkpoints and workplace raids away from borders are alarming advocates for immigrants. "Border Patrol agents closed off all southbound lanes of Interstate 95 north of Bangor, Me., stopping drivers, searching outside their cars with drug-sniffing dogs and refusing to let them pass until they disclosed their citizenship." On a cellphone video, a Bangor Daily News reporter was stopped near the lake and lumber town of Lincoln (more than 80 miles from the Canadian border) and told: "If you want to continue down the road, then yes ma’am. We need to know what citizen — what country you’re a citizen of." I have traveled that stretch of I-95 (all Trump country up there), and the checkpoints have been set up sporadically since 9/11. But they certainly have a different effect in this environment. P.S. ... "Jogger who accidentally crossed U.S. border from [British Columbia] detained for 2 weeks," per CBC. "A woman from France visiting her mom ... says U.S. Border Patrol held her for crossing into Blaine, Wash."
Polls are open in Turkey today, as President Recep Tayyip Erdogan, already governing as a strongman, seeks a powerful new executive presidency. "Even in the 1980s, when greed was good and the young Donald Trump cultivated a lifestyle of gold-plated excess, ... Trump knew instinctively that he could enhance his own stature by being seen with celebrities, and he also knew he could do it by breaking the rules and bashing some of those same famous people." "No other president has come to the White House as deeply schooled in the methods and madness of the American craft of celebrity. And no other president has used celebrities in quite the same way — both as inspiration to mold policies and as foils to entertain and satisfy his political base." "In recent weeks, Sylvester Stallone led the president to pardon the early 20th-century boxer Jack Johnson. 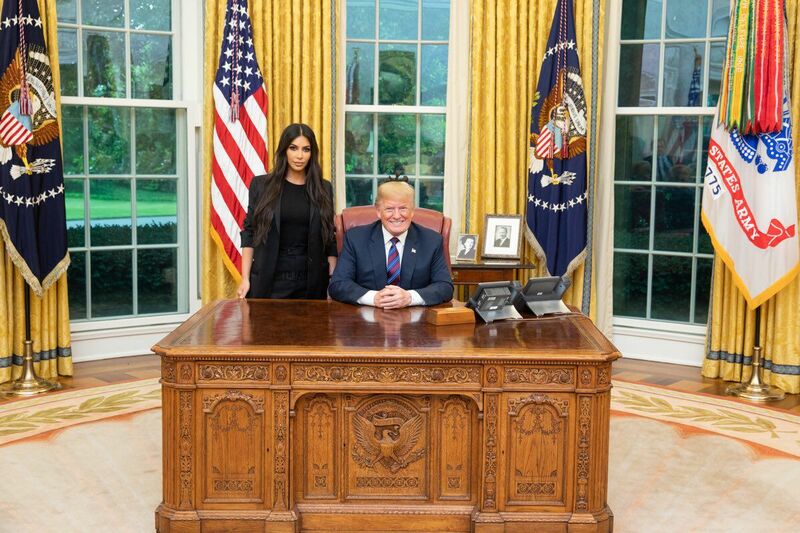 Then Trump met with Kim Kardashian West, who pressed him for clemency for Alice Marie Johnson, a 63-year-old drug offender who had served 22 years of a life sentence. Trump commuted the sentence and then called Kardashian on her cellphone to deliver the news. "Since its 2012 launch, Venmo has become a big part of city life, especially for millennials. … Essentially, one person pays the tab and then requests a Venmo payment from their accompanying pals." "Unlike other payment apps, such as Cash or Zelle, Venmo has a social component: a public feed where you can see all your connections’ transactions." "[A]ccording to some users, it’s ruining their lives." "'Seeing these transactions — even among people I have no desire to be hanging out with — creates a sense of emptiness and unease,' [23-year-old PR professional Caroline Keane] told The Post. 'It’s like, "S–t, everybody is doing something on Thursday night, and I’m sitting and reading my book. Am I a loser?"'" Thanks for reading. We'll have live updates all day on Axios.com.